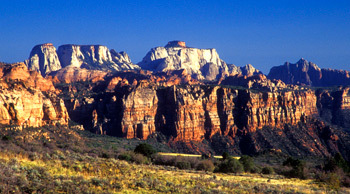 Mary Ellen Klein is the Real Estate Broker for Snow Canyon Realty at Entrada. She has been a Real Estate Broker since 1988 and currently divides her time between The Silicon Valley in California and Entrada at Snow Canyon in St. George, Utah where she and her husband Paul Klein were the first custom home owners. Mary Ellen is also President of K & M Relocation Network Inc. and Broker Owner of K & M Realty. She was an early developer of the Relocation Division of Coldwell Banker and ERA for Northern California. She also serves as Vice President of MPK Holdings, LLC. Responsible for multi-million dollar sales in the residential market, the success of Mary Ellen Klein, Broker of Snow Canyon Realty is attributable to many things: a strong work ethic, an extensive travel background exposing her to people and cultures worldwide, and her complete admiration for great architecture and design. Highly respected by clients and peers alike, she has a profound respect for others’ intelligence and taste and is committed to providing clients with the highest order of customized, professional service. She maintains a strong pulse of real estate activities/trends. Snow Canyon Realty is not just another real estate company; it is one dedicated to providing the discriminating buyer with elegantly appointed homes and home sites in St. George and the surrounding area. Whether you are in the market for a villa, custom home or a residential lot, now or in the future, the Snow Canyon Realty Sales Agents and Assistants stand ready to Make A Difference in your Real Estate Experience.